Our research of World War One Soldiers at Lodge Hill Cemetery has uncovered many stories from across the world. Harry Taylor was born in Birmingham, but traveled to Australia when he was young. 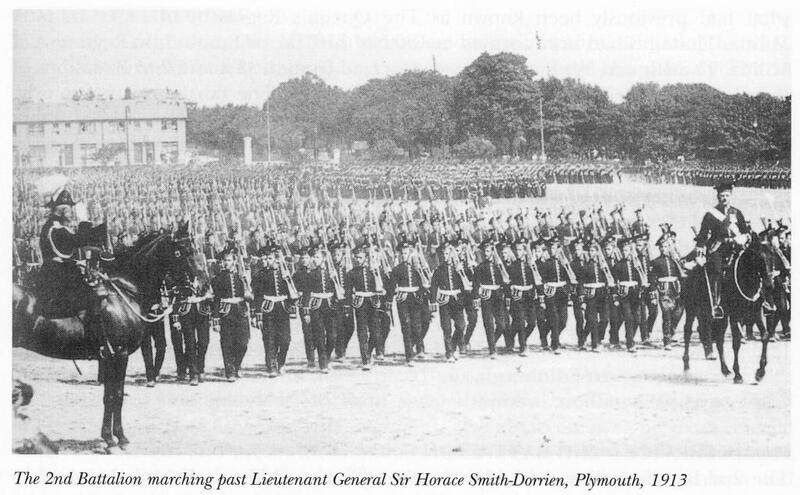 He served throughout World War One and died in England just before the war ended. 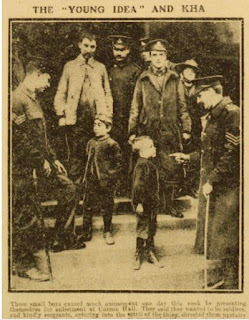 Private George Thornley of the 2nd Battalion (Regular Army) Royal Scots fought in World War one in France dying of wounds on 5th December 1914, having made it back to Birmingham for medical treatment. What is unclear is why on the World War One Memorial Wall, Lodge Hill Cemetery, it says he served under the name George Vaughan. 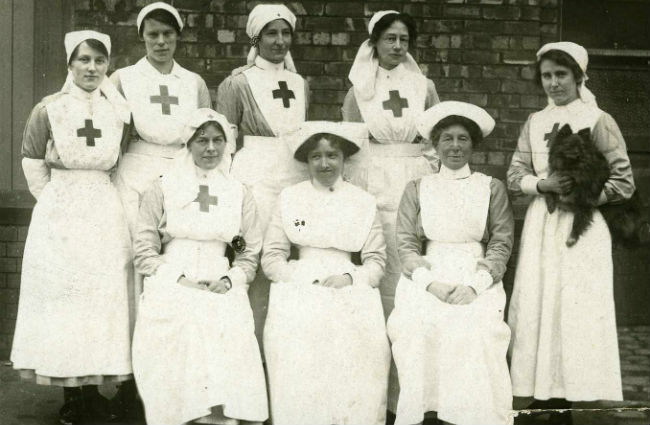 90,000 volunteers worked at home and abroad in World War One. When you have your flu jab this winter consider the effects of the flu one hundred years ago. 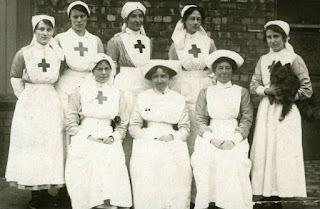 Bertha Larner served as a nurse in world war one from 29th June 1918 until her death on 28th October 1918. Bertha died of influenza during the most serious epidemic of any disease in history. It is rare to hear the voice of children in any century. The Birmingham Weekly Mercury's children's competition in 1915 on the theme 'What can the Little Ones do in War Time? ', offers an insight to life in Birmingham during the war through children's eyes. First prize of half a crown was awarded to Irene Harrison (age 13) from 145 Ladypool Road, Sparkbrook, one of six children from a widowed mother. 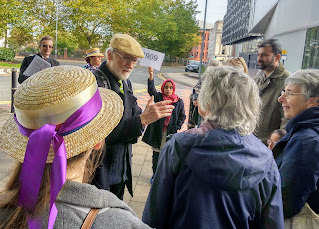 The Balsall Heath History Society led a historic walking tour around Birmingham City Centre exploring the city’s links to the suffrage movements of the chartists, suffragettes and suffragists throughout the nineteenth and twentieth centuries. organisation exerting pressure for parliamentary reform. On Saturday 15 September, 3pm – 4.30pm PHC will be leading a heritage walk from Victoria Square to discover Birmingham's heritage in the fight for our rights to vote. 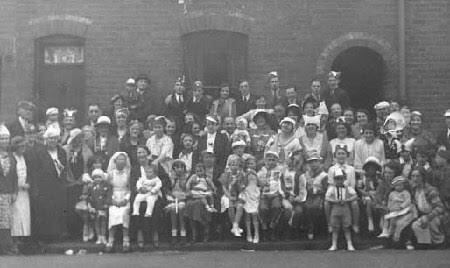 It's being reported on Radio 4 this morning that there are only a few official royal street parties in the UK, live from Handsworth, Birmingham - a story also recently reported in local news. 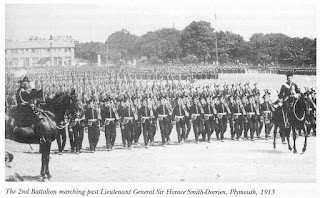 Party for King George V & Queen Mary’s Silver Jubilee 1935. Does this mean there are few street parties and has this always been the case? In Handsworth, the answer is an emphatic no. A co-operative of heritage practitioners dedicated to representing and promoting people's culture. Based in Birmingham UK, interested in people from everywhere.